Over the years, Peronism has proved itself capable of not only surviving an apparently endless series of disasters of its own making, but also of turning many failures to its electoral advantage. Like those hardy organisms that can thrive in volcanic vents where the temperature reaches 250 degrees centigrade, under kilometres of ice or, who knows, in inhospitable crannies somewhere deep beneath the bleak surface of Mars or in the boiling and horribly windy atmosphere of Venus, Peronism has proved itself capable of not only surviving an apparently endless series of disasters of its own making that would have killed any other political movement stone-dead, but also of turning its many failures to its electoral advantage. That is a trick the Peronists mastered many years ago. Time and time again they have put it to good use by persuading people that, though they are far from perfect, others are even worse, even if it is only because the trade union wing of the movement can be relied upon to foil their efforts to keep the economy afloat. Despite transforming Argentina from a relatively prosperous country by mid-20th century standards into the poverty-stricken one, forever on the verge of bankruptcy, she is today and, not that long ago, giving birth to a government that, even if you dismiss nine-tenths of the accusations that have been levelled against it, was quite extraordinarily corrupt, the Peronists could well return to power in the not too distant future. Until fairly recently, leading Peronists seemed to have resigned themselves to spending at least five more years out there in the wilderness, where they could mull things over and decide what could be done to improve the country’s prospects. For a brief while, it seemed that at long last Peronism was about to become a sober, down-to-earth movement led by men and women determined to get things right instead of devoting themselves to feathering their own nests. But then the peso crashed down to earth, inflation soared skywards and Macri’s stock fell far enough to convince his rivals that one of them could beat him in next year’s presidential elections – and all those good intentions were forgotten. For a Peronist to get the better of Macri, all the different factions of their movement would have to line up behind him or her. 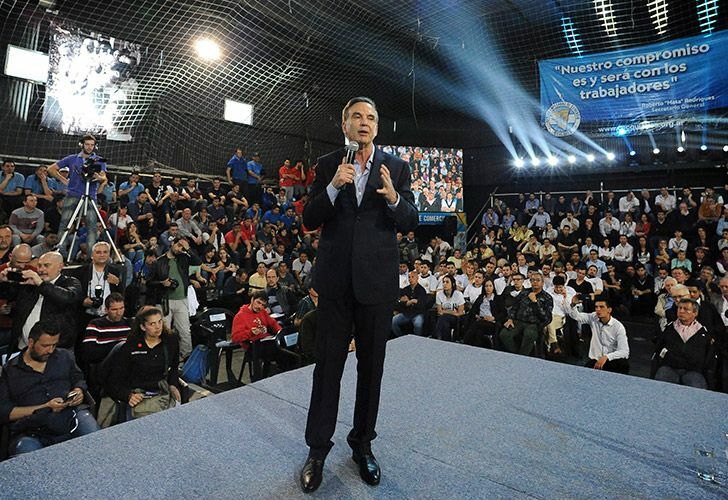 To achieve this, allegedly realistic, modern-minded Peronist hopefuls such as Senator Miguel Ángel Pichetto, Salta Governor Juan Manuel Urtubey and Córdoba’s Juan Schiaretti, plus that famously devious character Sergio Massa, would have to move far closer to Cristina Fernández de Kirchner, the lady who stands for much of what, just a few months ago, they were saying was wrong with the country. They may dislike Cristina personally, and fear her because they know she has a vengeful streak, and think that most of the proposals she and her cronies make are every bit as nutty as those that have been put into such devastating effect in Venezuela by her dear friend Nicolás Maduro, but they have done their sums and assume that, in order to defeat Macri, their candidate would need the votes of the many who would like to see her return to the Pink House. Would they be willing to support her on the off-chance that, were she to win, she would treat them well? Urtubey seems determined to keep her at arm’s length, but the rest of them – Pichetto, Schiaretti and, needless to say, Massa – have other ideas. It would seem that as far as they are concerned, kicking Macri and his crew out of government comes first. Should they manage this, it would be in large measure thanks to the votes of the millions of desperately poor, for the most part semi-literate, men and women who live in the ramshackle settlements and run-down barrios of Greater Buenos Aires, which they still control. Over the years, the Peronists have learned that, as well as guaranteeing them plenty of votes, mass poverty makes managing the country’s economy an almost impossible task. When in power, they either refuse to recognise that serious economic problems exist or, if they are unable to hide them, they blame them on “the world” (which, as everyone knows, has it in for Argentina). When in opposition, they are prone to rail against the inhuman wickedness of government ministers who, according to them, are far fonder of numbers than of their fellow human beings. Though Macri’s friend and close ally María Eugenia Vidal did manage to break the Peronist stranglehold on Buenos Aires Province in late 2015 – and since then has been trying to win the support of people in the poorest districts by being nice to them, listening respectfully to their complaints and setting up government outposts in places that in Europe would qualify as no-go zones – she has yet to wean most of them away from their psychological dependence on the movement that did so much to deprive them even the most basic necessities. For her to do this she would have to get her hands on a great deal of money to spend not just on hand-outs but also on much-needed public works projects. 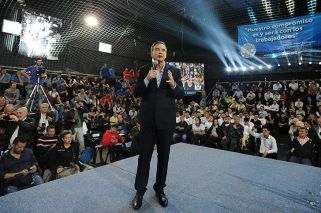 Cristina’s government did its best to make sure there would be little available for its successor. She and her La Cámpora shock troops assumed that after Daniel Scioli (a man they heartily despise) won office he would soon have to be sent packing by an indignant populace so things could go back to where they had been before the 2015 elections. As for that dreadful neoliberal extremist Macri, they thought they could get rid of him the moment he started depriving people of what was rightfully theirs.